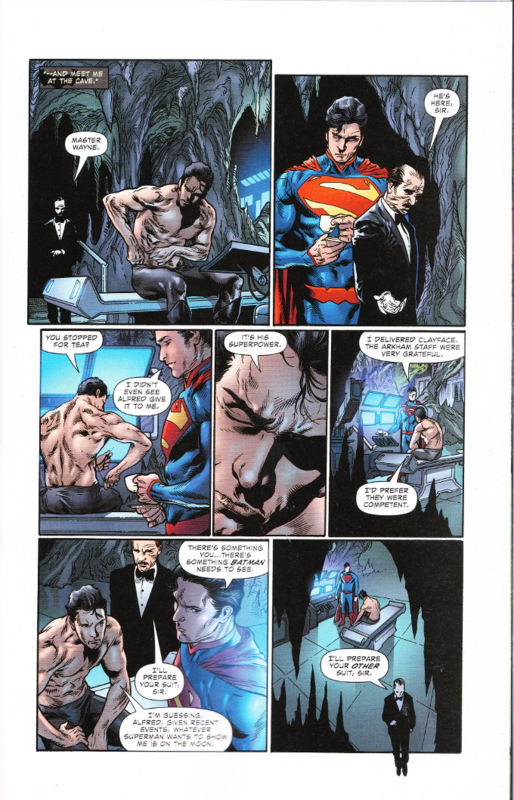 Given his history writing both heroes during his run on Injustice: Gods Among Us, it's no surprise that Tom Taylor perfectly captures both Superman and Batman in this issue. No, the surprise lies in the story and a murder mystery to end all murder mysteries. 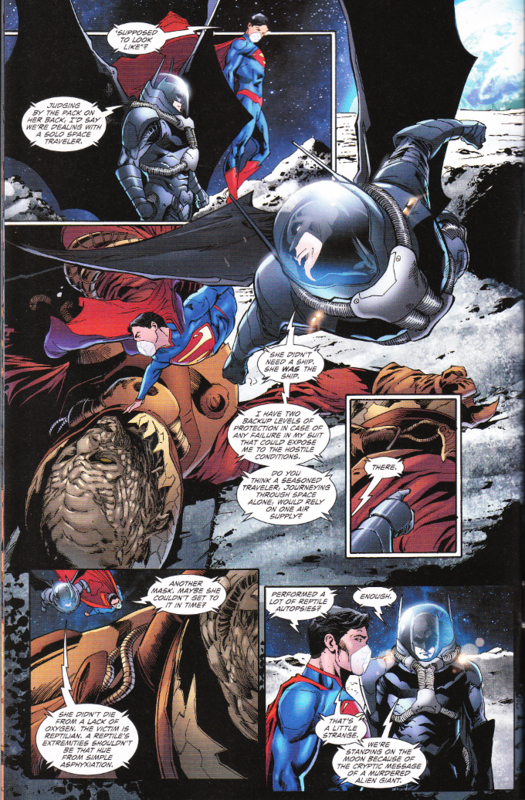 And who could object to any story that gives Batman a legitimate reason to wear a spacesuit? Robson Rocha's pencils for this issue are the best I've ever seen him produce. Three separate inkers worked on this issue, but you'd never know it but for the credits page, so uniform is the shading. And the colors by Blond perfectly complete the final artwork.